I do love to dye my hair, I also love hair dyes that condition your hair and don't damage it. 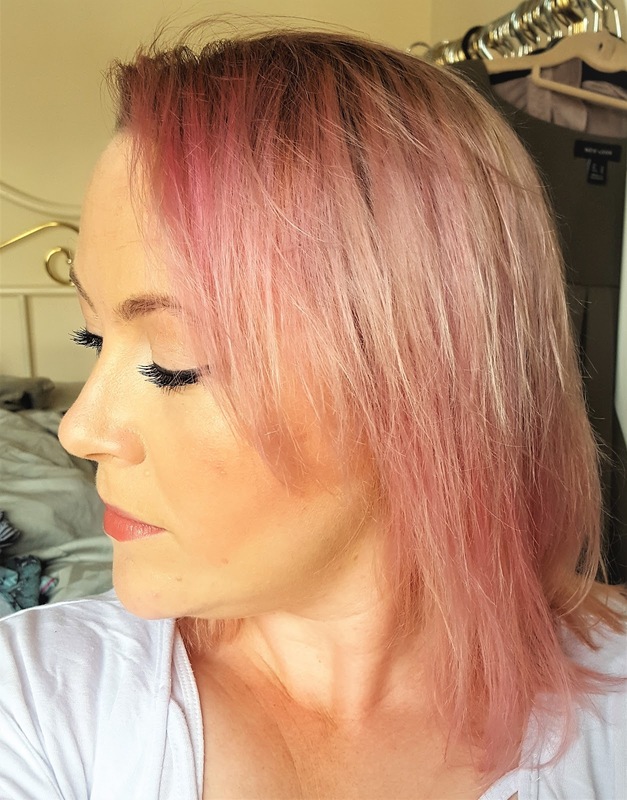 So I released my inner Unicorn and opted for the L'Oréal Colorista washout pastel pink hair colour. This product sat on my dressing table for a few weeks after purchase, and I decided to take the plunge one weekend and I am so pleased that I did! 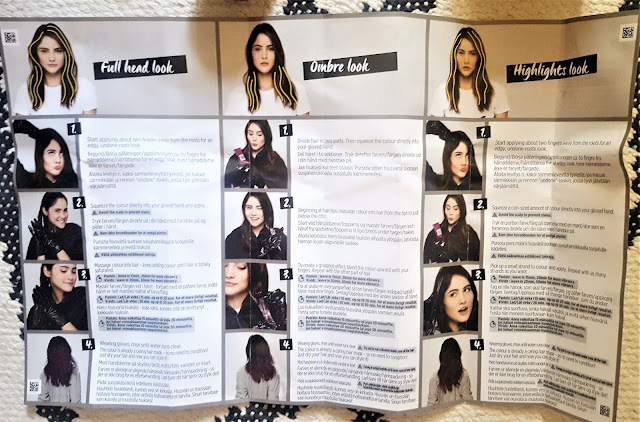 You can choose to apply all of the dye for a full head look, ombre sections for a hint of a colour, and then the highlights look which gives you subtle colour highlights. 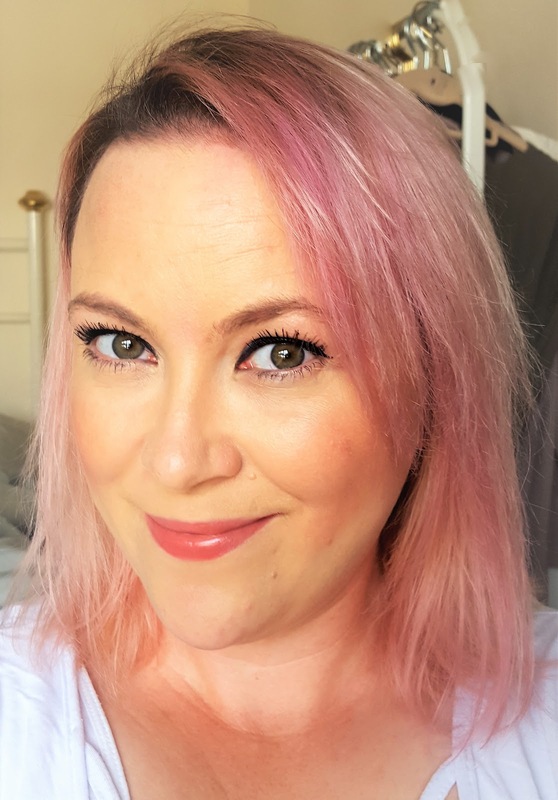 I opted for the full head look, simply because my hair is short and I knew that I wouldn't use all of the product in the tube - so that I could dye my hair pastel pink another time! L’Oreal Paris Colorista washout is a semi-permanent colour cushioned in a hair mask base. It fades gradually over 1-2 washes so you can switch and change your hair colour whenever you want. It washes out gradually, shampoo after shampoo. Pastel shades: are for blonde or pre-lightened hair. Vivid shades: are for all hair types, however they may last longer on blonde or pre-lightened hair. Pastel colours are for blonde, ombre or highlighted hair. So here we go, how easy is it to apply? 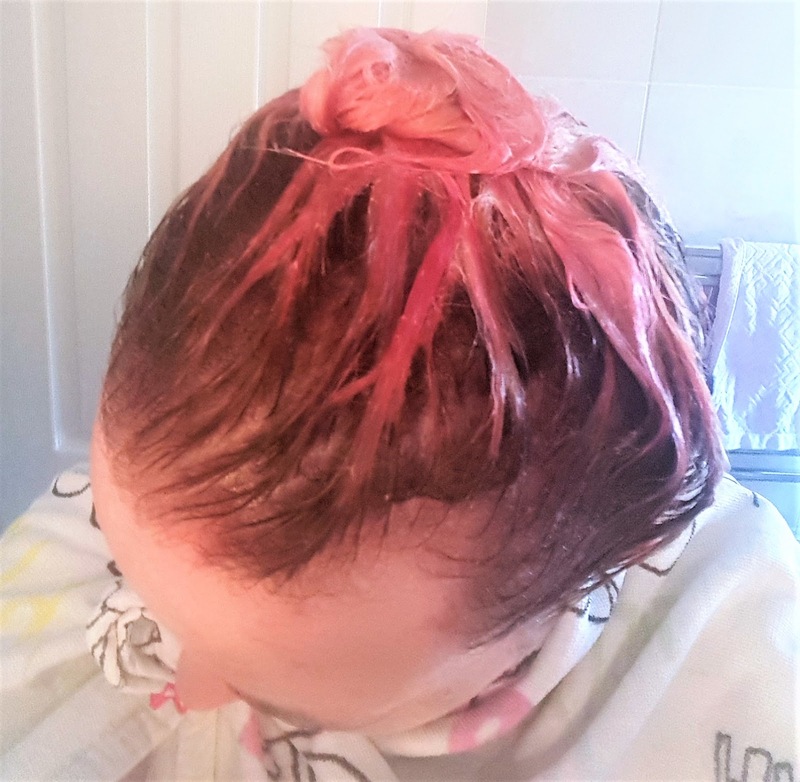 PREPARATION: Shampoo and dry hair well so the caring colour can better soak into hair. 3) Massage colour into hair – keep adding colour until hair is totally saturated. Pastels: leave in 15min, 20min for more vibrancy. Vivids: leave in 20min, 30min for more vibrancy. 4) Wearing gloves, rinse until water runs clear. The colour is already a caring hair mask – so no need to condition! Pastels : leave in 15min, 20min for more vibrancy. Vivids : leave in 20min, 30min for more vibrancy. 4) Wearing gloves, rinse until water runs clear. 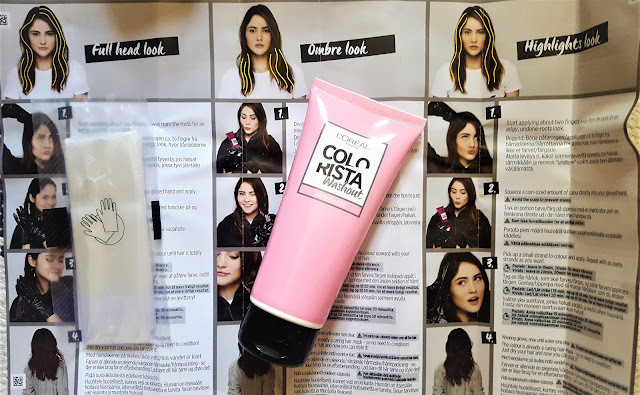 The colour is already a caring hair mask – so no need to condition! Just dry your hair and now you can style it! Try not to run coloured water over all the hair. 4) Wearing gloves, rinse until water runs clear. 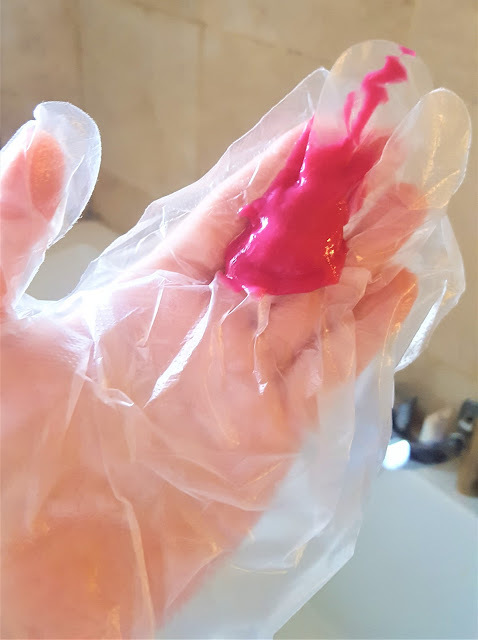 The colour is already a caring hair mask – so no need to condition! Just dry your hair and now you can style it! My full head look was in full swing - I left the colour on for 20 minutes using my mobile phone alarm, I just chilled with a magazine. I rinsed my hair out until the water ran clear, this didn't take long. It felt weird not shampooing my hair again, but I listened to the instructions, and then blow dried my hair. And voila! 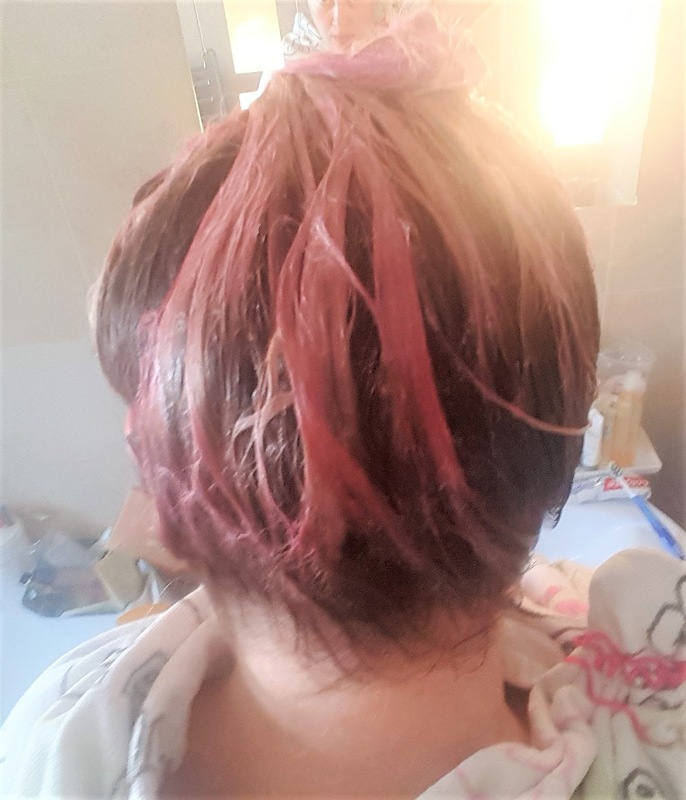 A nice pastel pink hair colour, that conditioned my hair and left it mega soft. Having highlighted hair meant that the colour looked so ombre, and unique! I went to my friends BBQ after styling my hair and I have never had so many compliments on how gorgeous the pink shade was, and how much it suited me. I absolutely loved having my hair pink. The conditioner is fab, and whatsmore having such short hair means I have another application of this to use. 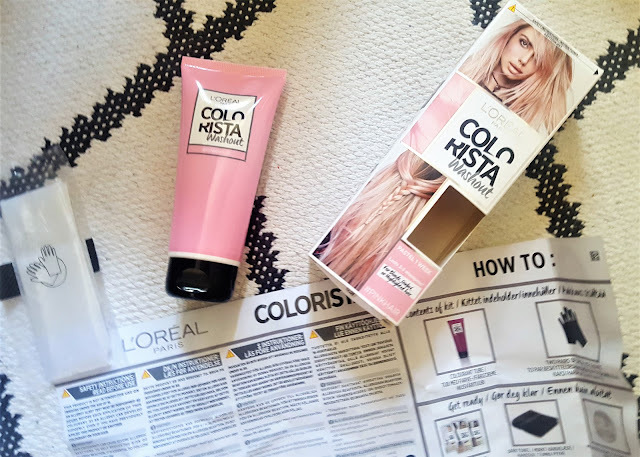 I'd recommend the L'Oréal Colorista pastel pink hair dye to anyone. The colour lasted about 2 washes and then gradually faded out. 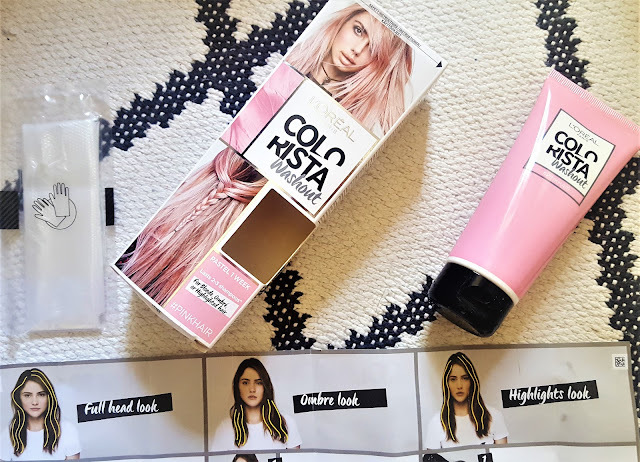 Have you tried anything from the Colorista range yourself? There's something for everyone, from pastel green, to red to orange there's 13 shades in the Colorista range from pastels to vivids.